Happy St Patrick´s day! How do you like to celebrate? Well, for some, it is not a day to celebrate at all: It is simply a day to work! If you are one of those, then you might just love this superb shop window sticker, depicting the celebratory words and the Irish hat, which is a classic symbol of the day! 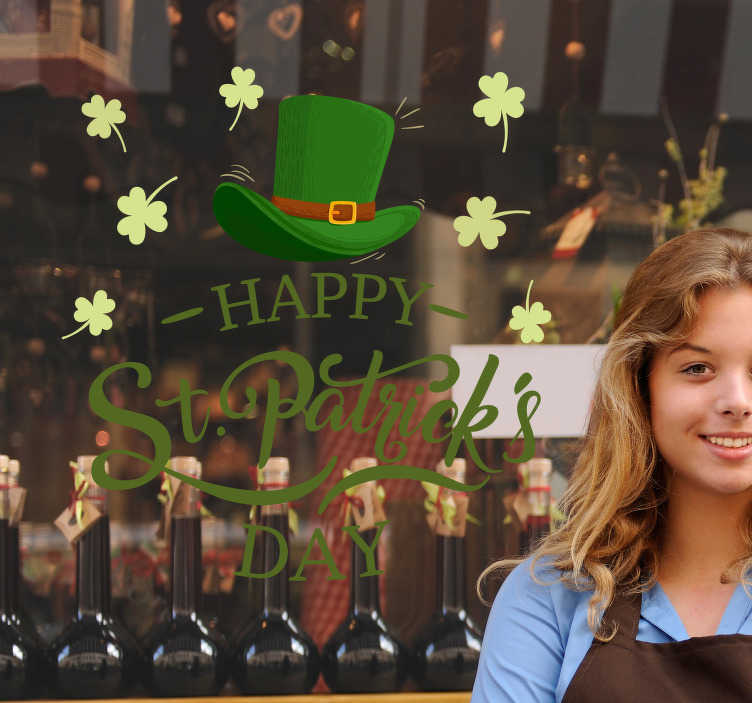 Ideal seasonal decor for all those pubs and shops who are celebrating St Patrick´s Day!